This inter­view was con­ducted by Vin­cent Chan­son and Frédéric Mon­fer­rand, philoso­phers from Nan­terre, France, and orig­i­nally pub­lished in the French-language web jour­nal Péri­ode. Vin­cent Chan­son and Frédéric Mon­fer­rand: Your book Marx global. Zur Entwick­lung des inter­na­tionalen Marx-Diskurses seit 1965 (Berlin 2009) offers a very exhaus­tive and ambi­tious map­ping of debates in Marx­ist polit­i­cal econ­omy since 1965. Could you sum­ma­rize the main goals of the book? Why must the inter­pre­ta­tions of Marx be exam­ined with regard to their geo­graph­i­cal, social, and polit­i­cal context? Jan Hoff: Marx global addresses a spe­cific con­text that is typ­i­cal for Ger­many. There is still a con­sid­er­able amount of research that pri­mar­ily focuses on Marx and his cri­tique of polit­i­cal econ­omy as an object of study. At the moment we have three Ger­man jour­nals that are devoted not to Marx­ism in gen­eral, like Actuel Marx, for exam­ple, but exclu­sively to “Marx stud­ies” – or, as Max­im­i­lien Rubel would have it, to “Marx­ol­ogy.” Many peo­ple in Ger­many still read Cap­i­tal and par­tic­i­pate in debates about method­olog­i­cal ques­tions, value the­ory, the­ory of cri­sis, etc. In the West Ger­many, after World War II, this inter­est in Marx orig­i­nated with the stu­dent move­ment of the 1960s, when a new aware­ness of the rel­e­vancy of method­olog­i­cal research on Cap­i­tal emerged. 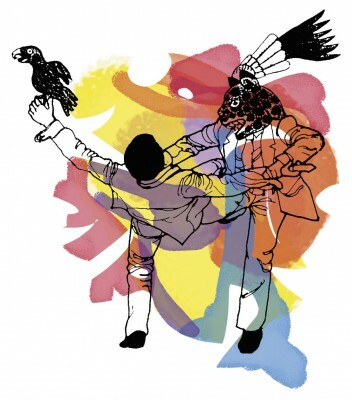 Roman Rosdolsky’s work was cru­cial in this con­text. How­ever, the reverse side of the flour­ish­ing Ger­man debate was a self-centered “provin­cial­ism,” which has even increased over the last decades, espe­cially since the 1980s. Most Ger­mans inter­ested in Marx’s cri­tique of polit­i­cal econ­omy barely take into account the debates that took place in for­eign lan­guages. Peo­ple like Jacques Bidet, Enrique Dus­sel, Kozo Uno, etc. are usu­ally nei­ther read nor men­tioned in the Ger­man debate. 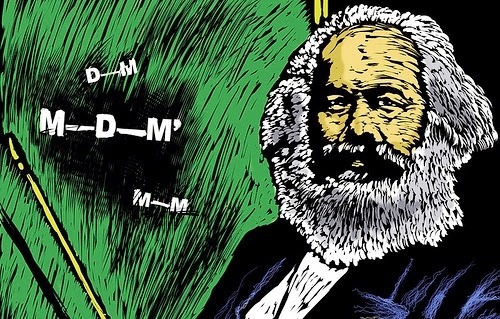 Even the recent English-language lit­er­a­ture on Marx – I am think­ing espe­cially of the debates on “sys­tem­atic dialec­tics,” value-form the­ory, and the Hegel-Marx-relation – is rather neglected in Germany. Writ­ing Marx global was a coun­ter­re­ac­tion to this lacuna. I wrote the book with the Ger­man audi­ence in mind, with the hope that the Ger­man debate would profit from closer links to and a deeper knowl­edge of the dis­cus­sions out­side of our coun­try. “One nation can and should learn from oth­ers,” Marx famously wrote in the Pref­ace to Cap­i­tal, Vol­ume 1. This should also apply to the debates on his own theory. 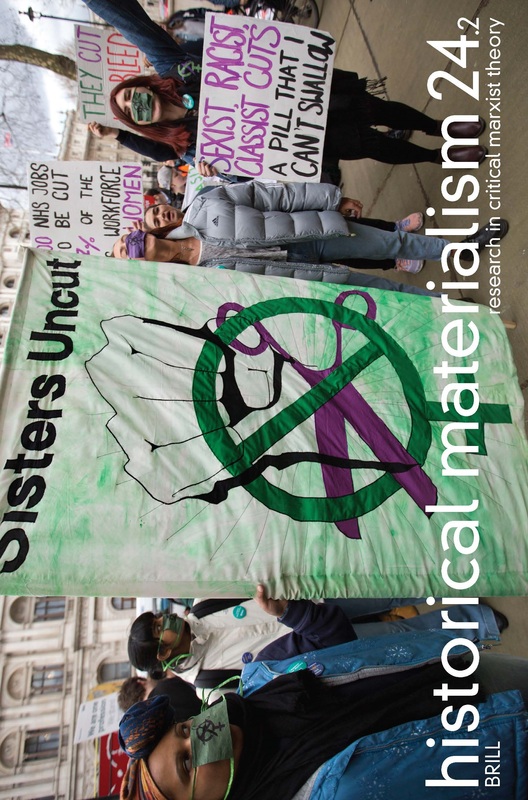 There­fore the ulti­mate aim of the book was to con­tribute to a true “inter­na­tion­al­iza­tion” of the debates on Marx’s the­ory of value and money, about his method and the struc­ture of his work, about cru­cial cat­e­gories like “cap­i­tal in gen­eral,” and about his spe­cific under­stand­ing of his object. Some chap­ters of your book deal with Japan­ese, South-Asian, and South-American read­ings of Marx. What can be the­o­ret­i­cally as well as polit­i­cally and strate­gi­cally gained from such a shift away from Western-centered inter­pre­ta­tions of the cri­tique of polit­i­cal economy? Japan is an aston­ish­ing exam­ple, maybe the most impres­sive case world­wide. Seri­ous study on Marx’s Cap­i­tal started to develop after World War I, around the time when the first com­plete trans­la­tion of the three vol­umes was launched (1920-24). Within a few years, the recep­tion of the cri­tique of polit­i­cal econ­omy grew mas­sively. Despite the fact that Marx­ism was offi­cially sup­pressed and many influ­en­tial Marx­ist intel­lec­tu­als like Fuku­moto (in 1928), Kawakami (in 1933) and oth­ers were arrested for polit­i­cal rea­sons, hun­dreds of thou­sands of copies of Cap­i­tal were sold. 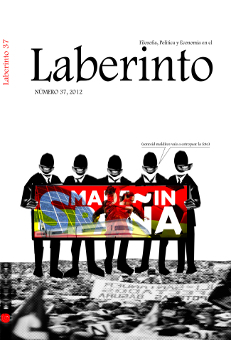 In 1945, with the lib­er­a­tion of Japan­ese Marx­ism from state repres­sion, there was another wave of dissemination. Com­pare that to West Ger­many: dur­ing the post-War period, at a time when only a hand­ful of Marx­ists were allowed to teach at the very fringes of West Ger­man uni­ver­si­ties, the sys­tem­atic study of Cap­i­tal was “main­stream” in Japan and occu­pied a strong place at the very cen­tre of the Japan­ese acad­e­mia. The var­i­ous “het­ero­dox” schools of thought that devel­oped in the 1950s-70s – Uno-school, Civil-Society-school, Hiromatsu-school – still exist today. The Latin Amer­i­can debate seems to be “closer” from a West Euro­pean view­point, and it shares sig­nif­i­cant sim­i­lar­i­ties. In the 1960s-70s var­i­ous streams of Marx­ist thought com­peted for hege­mony, with the ques­tion of “pro” or “con­tra” Althusser usu­ally at the cen­tre of the dis­cus­sion. The most impres­sive project in Latin Amer­i­can Marx stud­ies was prob­a­bly Enrique Dussel’s sys­tem­atic read­ing (pub­lished in three vol­umes from 1985-90) of the var­i­ous “drafts” of Marx’s main work (from Grun­drisse via the com­pre­hen­sive man­u­script of 1861-63 finally to Cap­i­tal). 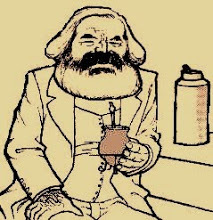 The present debate on Marx in Latin Amer­ica is very lively, with Brazil one of the most impor­tant coun­tries. The recent Brazil­ian recep­tion of Marx prof­ited from the fact that the first Portuguese-language edi­tion of Grun­drisse was pub­lished in 2011. It is a nec­es­sary insight that the dis­cus­sion on the cri­tique of polit­i­cal econ­omy can­not be suc­cess­fully pur­sued in a Euro­cen­tric way. In my book I tried to show that the non-European coun­tries offer a large num­ber of elab­o­rated con­tri­bu­tions to the dis­cus­sion of Marx’s the­ory that must not be ignored by par­tic­i­pants in the Euro­pean debates. Is Perry Anderson’s def­i­n­i­tion of “West­ern Marx­ism” still rel­e­vant in this per­spec­tive? Or do we need a new type of the­o­ret­i­cal topography? The term “West­ern Marx­ism,” pop­u­lar­ized by Perry Ander­son, seems to be rather prob­lem­atic. Indeed Anderson’s own def­i­n­i­tion is quite vague. The major prob­lem I see is that a geo­graphic cat­e­gory is mixed with cri­te­ria pri­mar­ily related to its con­tents. This makes it very dif­fi­cult to main­tain the term. Let’s take a brief look at some cases where prob­lems would arise if we stuck to this term. Georg Lukacs and Karl Korsch are usu­ally regarded as being among the “fathers” of West­ern Marx­ism, but both German-language the­o­rists were also quite influ­en­tial (via Kazuo Fuku­moto) dur­ing the period Marx­ism was intro­duced to Japan. How­ever, would it be use­ful to include a cer­tain cur­rent of Japan­ese Marx­ism of the 1920s in the term “West­ern Marxism”? A sim­i­lar ques­tion could be raised regard­ing the Latin Amer­i­can dis­cus­sion, for exam­ple con­cern­ing the refor­mu­la­tion of Marx­ism as a “phi­los­o­phy of praxis” by the Mex­i­can philoso­pher Adolfo Sanchez Vazquez in the 1960s. Should his approach be included in “West­ern Marx­ism” or not? 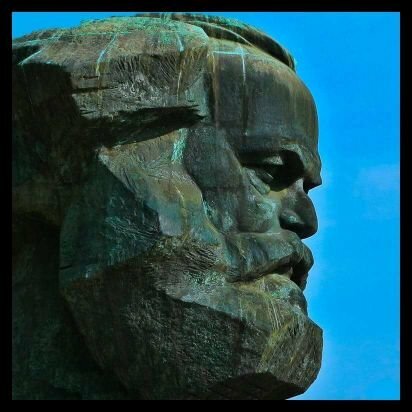 “Marx­ist human­ism” is usu­ally regarded as an inte­gral part of the “West­ern Marx­ist” spec­trum of thought (despite the anti-humanism of Althusser, who is also counted among the “West­ern Marx­ists” by Ander­son), but what about the exten­sive Chi­nese dis­cus­sion on “Marx­ist human­ism” in the 1980s? And what about those East­ern Euro­pean approaches to Marx that were quite close to cer­tain aspects of “West­ern Marx­ism,” for instance those within the Budapest school, the Praxis group, etc.? 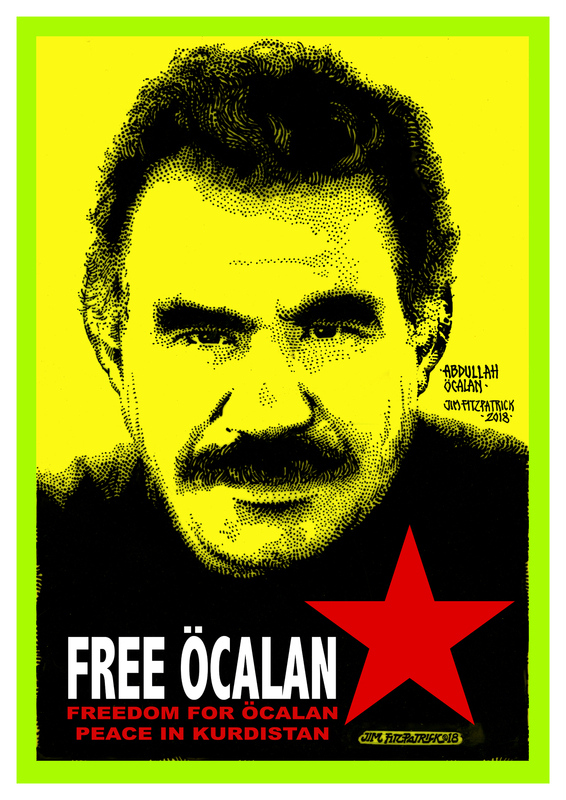 In all these cases it becomes dif­fi­cult to draw a clear line of demar­ca­tion between “West­ern” and “non-Western” Marxism(s) – at least when we con­sider impor­tant points of the the­o­ret­i­cal con­tents of the var­i­ous inter­pre­ta­tions of Marx, and not just the ques­tion of geo­graph­i­cal locus. Would you say that, in ret­ro­spect, one could find some com­mon ground among Althusser­ian, work­erist, and Frank­furt School-related read­ings of the cri­tique of polit­i­cal econ­omy devel­oped in France, Italy and Ger­many in the 1960s? If one takes a closer look, I would hes­i­tate to answer this ques­tion either with a clear “yes” or a clear “no.” But it is cer­tainly pos­si­ble to iden­tify sim­i­lar­i­ties, dif­fer­ences, and con­nec­tions between these three currents. It would be rather dif­fi­cult to locate such a “com­mon ground” in ref­er­ence to Marx’s oeu­vre, despite the fact that all three ten­den­cies pre­ferred (to dif­fer­ent extents, how­ever) the “mature” Marx over the “young” Marx. Operaismo and the par­tially Frank­furt school-related Neue Marx-Lektüre both empha­sized Marx­ian texts like Grun­drisse that were rel­a­tively “new” at that time. How­ever, in France it was not Althusser but either ultra-leftists (Rubel, Camatte, Dan­geville) or Trot­sky­ists (the young J.-M. Vin­cent) who stud­ied the Grun­drisse first. The polit­i­cal back­grounds of each of the three coun­tries were too dif­fer­ent to form a “com­mon ground” in the polit­i­cal area: Althusser main­tained his attach­ment to the French Com­mu­nist Party, which con­tin­ued to be a “mass party” for a long time; the early Neue Marx-Lektüre, on the other hand, was asso­ci­ated with the “non-authoritarian” wing of the stu­dent move­ment (rep­re­sented by Krahl and oth­ers) and kept its dis­tance towards the tiny and ille­gal Com­mu­nist Party of Germany. In terms of the­ory, one should keep in mind that Frank­furt school-related thinkers like Alfred Schmidt were quick to crit­i­cize Althusser when his thought was intro­duced to Ger­many. In com­par­i­son to other West­ern Euro­pean nations (Great Britain, Spain), Althusser’s thought was less influ­en­tial in West­ern Ger­many dur­ing the 1970s. How­ever, both Althusser and the Neue Marx-Lektüre stress the rel­e­vance of an epis­te­mo­log­i­cal read­ing of Marx. The most famous con­nec­tion between Althusser and operaismo was prob­a­bly Anto­nio Negri’s invi­ta­tion to the Paris sem­i­nar that finally resulted in Marx oltre Marx in the late 1970s. Operaismo was also intro­duced to West­ern Ger­many, espe­cially in the 1970s, but this con­cerned pri­mar­ily the polit­i­cal dis­cus­sion, and not so much the spe­cial­ized debate on Marx. Your book fin­ishes with a dis­cus­sion of Marx­ist cri­sis the­o­ries. What are the main diver­gences between the var­i­ous mod­els of crises the­ory in gen­eral, and between the var­i­ous accounts of the con­tem­po­rary cri­sis of the cap­i­tal­ist mode of pro­duc­tion in par­tic­u­lar? And could one inter­pret the con­tem­po­rary revival of inter­est in “Value-Form The­ory” as an attempt to recon­struct a uni­fied, crit­i­cal yet sys­tem­atic, cri­sis theory? There is, first of all, the clas­si­cal “canon” of the var­i­ous approaches to Marx’s the­ory of cri­sis that devel­oped from the turn of the 20th cen­tury to the 1930s. This implies the dif­fer­ent well-known inter­pre­ta­tions com­pet­ing with each other: under­con­sump­tion­ist inter­pre­ta­tions, dis­pro­por­tion­al­ity the­ory, over­ac­cu­mu­la­tion the­ory, var­i­ous the­o­ries of cap­i­tal­ist breakdown. 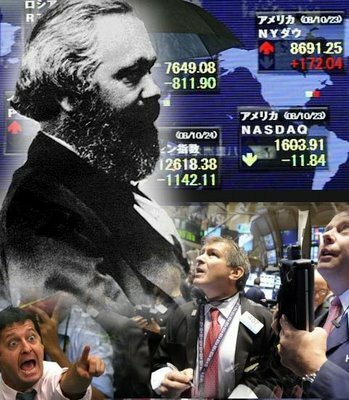 Sec­ondly, since the 1960s-70s some new approaches to Marx­ist cri­sis the­ory have appeared: profit squeeze the­ory, “reg­u­la­tion school”-related approaches to cri­sis, attempts to com­bine aspects of Marx and Min­sky. Japan fol­lows its own course with an exten­sive debate on cri­sis the­ory from 1929 on (Kuruma, Uno/Itoh, Tomizuka). How­ever, I am quite skep­ti­cal con­cern­ing the use­ful­ness of con­struct­ing a sin­gle, uni­fied cri­sis the­ory of “sys­tem­atic” char­ac­ter. Let us look at Marx himself. I came to the con­clu­sion that Marx was cor­rect not to treat cri­sis as a sep­a­rate topic in its own right, but as the reverse side of the enor­mous dynamic of cap­i­tal accu­mu­la­tion, as the reverse side of capital’s drive to real­ize itself beyond its own lim­its. The cri­sis is noth­ing other than the very point of the cycli­cal accu­mu­la­tion process where the “Selb­stver­w­er­tung” [self-valorization] of value runs into its own lim­its. Marx’s Cap­i­tal con­sti­tutes a com­plex archi­tec­ture, a struc­tured whole with dif­fer­ent lev­els of abstrac­tion. Crises can affect the accu­mu­la­tion process of cap­i­tal on mul­ti­ple lev­els. Accord­ingly, Marx did not leave behind a sin­gle, coher­ent chap­ter on cri­sis the­ory, but instead had to treat the ques­tion of cri­sis in many dif­fer­ent con­texts and on each sin­gle level of his archi­tec­ture – start­ing with the the­ory of sim­ple cir­cu­la­tion through to his the­ory of credit in vol­ume 3. How­ever, a value-form ana­lytic read­ing of Marx is rel­e­vant for a Marx­ist the­ory of cri­sis. Marx’s the­ory of value and value-form is inter­nally linked to his con­cept of money (this is why some Ger­man researchers speak of “mon­etäre Wert­the­o­rie” [mon­e­tary the­ory of value] in Marx), while the cat­e­gories of money and credit are cru­cial for Marx’s the­ory of cri­sis. On the inter­na­tional level, there are some researchers who focus pre­cisely on the close inter­con­nec­tion between these cat­e­gories in order to refor­mu­late Marx’s con­cept of cri­sis. One could name the South Korean scholar No-Wan Kwack as just one exam­ple in this context.